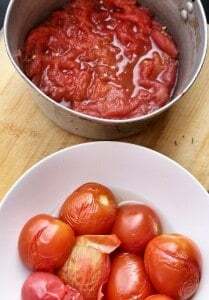 This time of year, the end of growing season, always results in an overabundance of tomatoes, which is awesome news since I love making fresh tomato sauces. 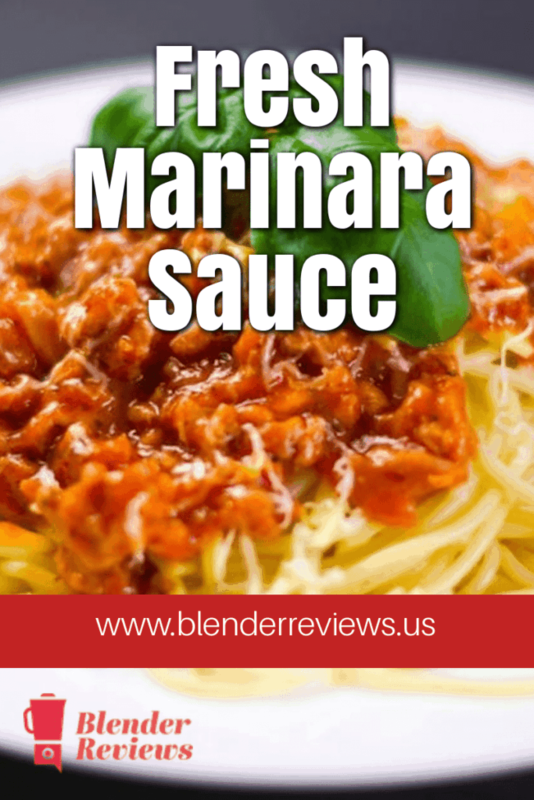 Having a good, high-performance blender makes quick work of all those tomatoes and turns them into a delicious, fresh marinara sauce that goes perfect on pasta, pizza, or just for dipping bread into. It’s also great when used over spaghetti squash or zucchini ribbons, if you’re trying to cut out carbohydrates. With fresh tomatoes, I first blanch, peel and seed them to get a thicker sauce. This process is easy and only takes a few minutes. Cut a small “X” in the bottom of all of the tomatoes. Drop them into the boiling water for 10 seconds. 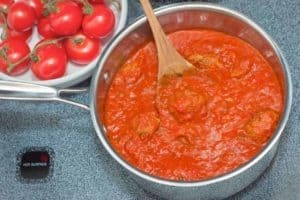 Remove the tomatoes from the pot of boiling water and plunge them directly into a large bowl full of ice water. Peel off and discard the skins and give them a quick squeeze to remove the seed from each tomato. Add the olive oil, garlic and onions to a large pot and heat on medium until garlic is fragrant and onions are translucent. Add in fresh tomato sauce and all remaining spices, then bring to a simmer. Cover and cook on low heat for 30 minutes until sauce thickens. 7 Tasty Weight Loss Shakes You’ve Got To Try!